LAST CHANCE! BIG SAVINGS – Stock Up on Genealogy Education NOW at Family Tree Magazine! Sale good through Saturday, July 21st – DON’T DELAY! 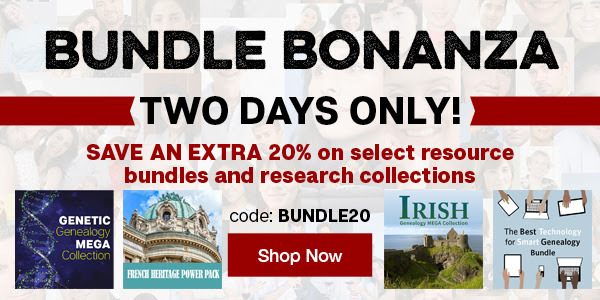 Click HERE and use promo code BUNDLE20! 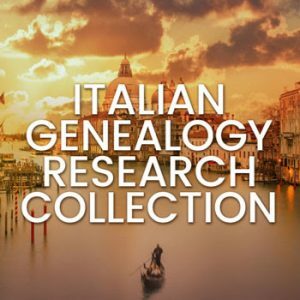 Italian Genealogy Research Collection: This collection is chock-full of all the insights, sources, and strategies you’ll need to successfully find genealogy records of your Italian ancestors and overcome common obstacles in Italian genealogy research. Regularly $225.94 USD, sale price $74.99 USD, you pay just $59.99 USD with promo code! Click HERE to shop. 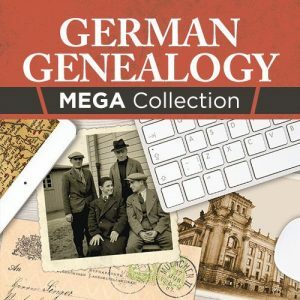 German Genealogy MEGA Bundle: Save 72% on 11 German ancestry resources when you bundle! This collection is packed with the must-know info and research techniques for tracing your German roots, from finding your ancestor’s home village to using translate tools, cheat sheets, and other techniques to decipher what you find. Regularly $329.89 USD, sale price $89.99 USD, you pay just $71.99 USD with promo code! Click HERE to shop. 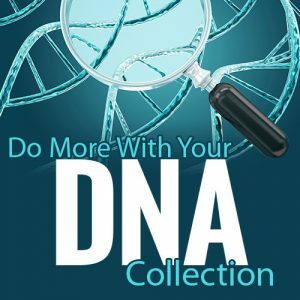 Do More With Your DNA Collection: If you have already taken the dive and purchased a DNA testing kit, this collection is for you. You will learn tips and tricks for dealing with your DNA matches, how to organize your results, how to use DNA Triangulation, and much more! Regularly $259.94 USD, sale price $70.00 USD, you pay just $56.00 USD with promo code! Click HERE to shop. 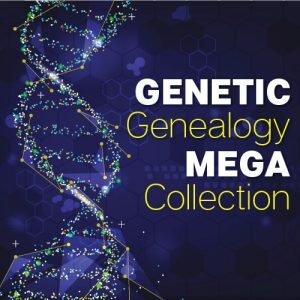 Genetic Genealogy MEGA Bundle: Get the most out of your DNA research with this comprehensive collection. You’ll get a plethora of tools to help breakdown how DNA testing works how to use your results for your research. Regularly $459.88 USD, sale price $99.99 USD, you pay just $99.99 USD with promo code! Click HERE to shop. 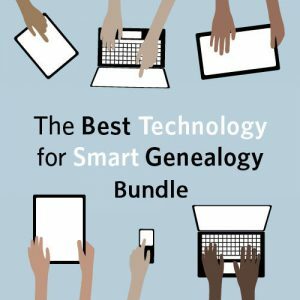 The Best Technology for Smart Genealogy Bundle: This bundle contains eight video presentations designed to help you find new resources and collections online as well as organize, preserve and share your research in creative, fun ways. By the time you’ve watched all of the videos, your fingers will be flying over the keyboard and you’ll be able to share your new discoveries online with a few clicks. Regularly $349.92 USD, sale price $129.99 USD, you pay just $103.99 USD with promo code! Click HERE to shop. 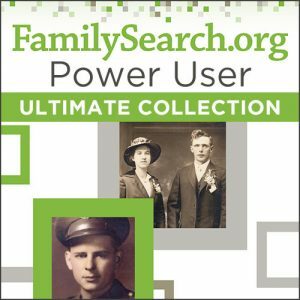 FamilySearch.org Power User Ultimate Bundle: Sharpen your research skills and find more of your family history with this great collection of resources for making the most of your access to the world’s largest, free genealogy website-FamilySearch.org. Regularly $281.93 USD, sale price $70.00 USD, you pay just $56.00 USD with promo code! Click HERE to shop. *Use code BUNDLE20 at checkout to apply discount. Sale ends July 21, 2018 at 11:59 pm MT. Valid on select bundles only. Not valid with other offers. Other exclusions may apply.